This thread is meant for discussion and bug reports on the Synfire 1.9 Beta, which is due in a few days. Since almost half of all code was touched to accomplish the move to a new generation of our AI development platform, we expect the beta to be a bit bumpy at first. More on this in this blog post. This platform update is a very important prerequisite for future development, so although you won't see many new features yet, it is a big deal in the big picture. Once the new platform has settled and is considered stable, we will continue development on new and exciting features for Synfire. Awesome. A great piece of software getting an even more robust fundament. The backwards compatibility patch for 1.8.5 is online now. 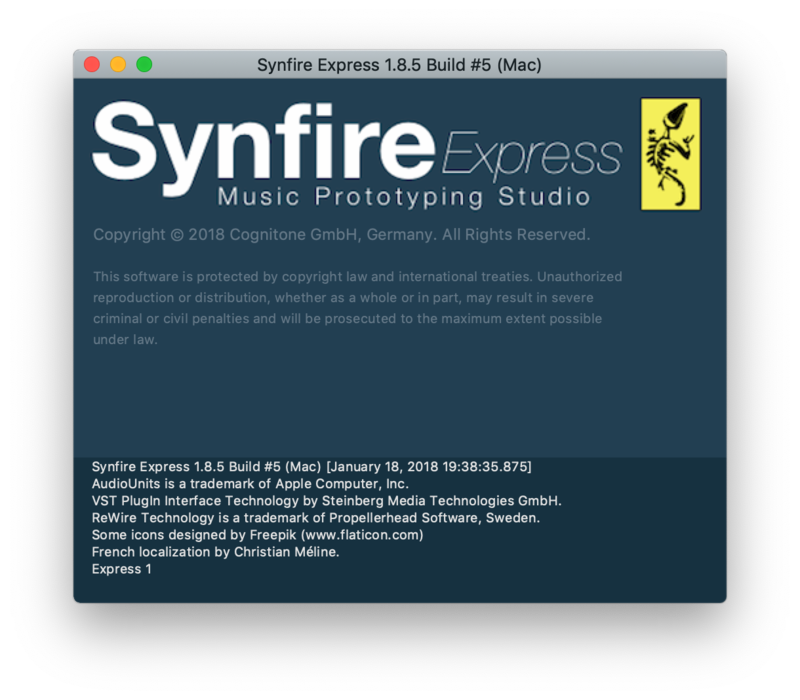 When installed, files written by Synfire 1.9 can be opened by 1.8.5. This might come handy if you possibly need to go back to 1.8.5 and have saved files with 1.9 already. We still recommend a full backup of your projects before trying 1.9 Beta. We are now in the process of checking for and fixing minor things that have been overlooked or forgotten, like updating the user manual. No big deals. The new user interface still responds a tad slower to tab switches and dragging the view splitter. This will be fixed later, as we don't want extensive UI debugging to delay the release any further. Just so you know it's not permanent. Very cool. Looking forward to testing the beta. I'm sorry for the premature upload. As always, one fix entailed another, etc, leading us down a rabbit hole of sorts. We are still in the process of fixing a performance issue with playback. All other known issues are done. Once the new files will be ready, I will cleanup this thread a bit, so we can continue the reporting here. Any planned date for official release of version 1.9? A new build is in the making. We will label each build "Beta" until no critical bug reports are coming in anymore. Then the "Beta" label is removed and that will be the offcial release. This time we tested more extensively, but obviously we can't test all possible OS versions and hardware variants. If it runs on macOS High Sierra and Mojave, Windows 7 and 10, we assume a 95% chance that everything is fine. Just in case: Should you need to go back to 1.8.5, please make a backup of your "Config" folder first (in your personal Documents/Synfire Pro folder) and a backup of your projects. 1.8.5 can read 1.9 files, albeit only with the Backwards Compatibility Patch. I will check if we can include the patch with the 1.8.5 installer, so it doesn't need to be downloaded online. I'm curious to know that, where can I find the beta version download link? should I register for beta testing or something like that? The download will appear in your user account. We hope to get one ready tomorrow morning. There is a problem for embedded phrase library. When I want to open other phrase library It is locked. Thanks Andre. Just checked this but can't reproduce any issues. What exactly are you doing and where do you get stuck? On a side note, this "Reload" button in the toolbar rebuilds the rack, in case an Engine has crashed and comes back online. Synfire should do this automatically, but sometimes a manual reload is needed. 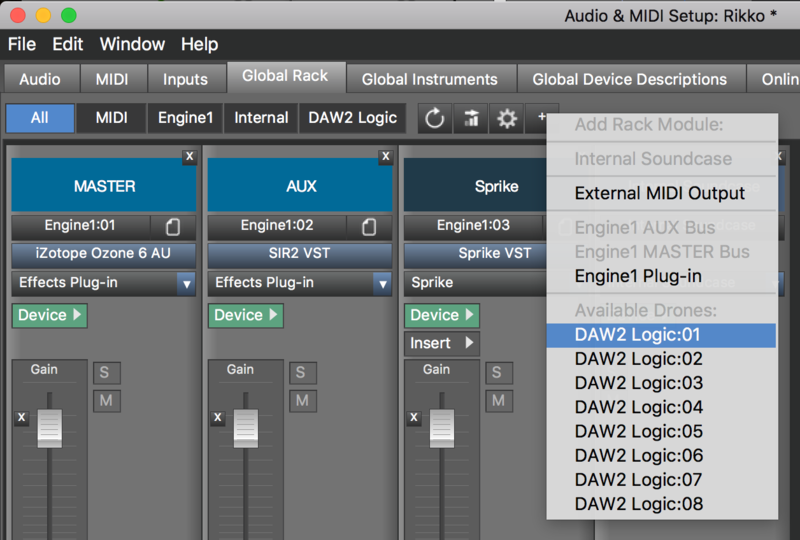 Also, clicking on the "+" tool button now opens a menu with all options you have to add a new rack module. This should be easier to grasp and use. Hi Andre ; There is also container problem to lenght. It is only four measure. We couldn't change anymore. Thanks a lot. Can't reproduce that either. I can drag the right edge of any container to any length. Is your mouse ok? Macos 10.13.6. The latest beta of Synfire. Audio froze and the app wouldn't respond. I force quit, removed Synfire beta, and re-installed. Seems to be working now. Yes, ıf I use mouse no problem. But If you want to write as a letter ıt couldn’t change anything. Just for the record: If something jams, force quit and restart is sufficient. You don't need to reinstall. And it's not always a lockup. Synfire will often recover after a few seconds, even if the audio stream is interrupted. If the user interface locks up, it will help to know what exactly you were clicking before the lockup, so we can reproduce it. Got that with the input boxes for length values. Regarding transport commands, they should be consistent, however if you happen to click in a text field, typing the spacebar or other transport keys go there, rather than start playback. So it depends on where you last clicked. We noticed a somewhat laggy response of the main tabs. This is in part because of the new UI system, tabs respond on releasing the mouse button, which was different in 1.8 where they responded on the mouse button being pressed. We are also eliminating things that slow down the initial composition of views currently. Next build will address that. Of course yes. But outside of the text boxes, the Transport key-commands are a bit confusing me. In Logic I'm used to press 0 to always go back to start, regardless which window I'm currently working in. In Synfire this sometimes works, sometimes does not. I can't change the container length of a sub-container via the length text box in the container tab. The app crashes every time. I submitted a crash report. Thanks for your testing, everyone. There's a general keyboard thing we need to fix and we also hope to get it a bit more speedy in response to user input. Hope to get a new build out before Christmas. I have redownloaded and reinstalled 1.85 but still get the same problem - seems to be related to the 1.9 install? I had the same problem and resolved it by removing my config files and re-installing 1.85. After that I could launch 1.85. The patch is in Online Updates, but that doesn't help much when you can't start 1.8 anymore. Here's the patch for Pro attached (let me know if you also need it for Express). I installed the update on 1.85 but the version number is identical. A patch does not change the version number.